Until next week, happy cooking and eating today. Happy Thanksgiving, to you and yours. 1. Stuffing Waffles: Would it be wrong to buy a waffle machine for this purpose alone? If not, then surely these Sweet Potato Waffles push my need for a waffle iron over the edge. 2. Frittata: with leftover shredded dark meat and vegetables, like soft sweet potatoes or roasted broccoli. I also like the addition of Parmesan or goat cheese. Really though, this dish is a catch all for whatever you have around. 3. 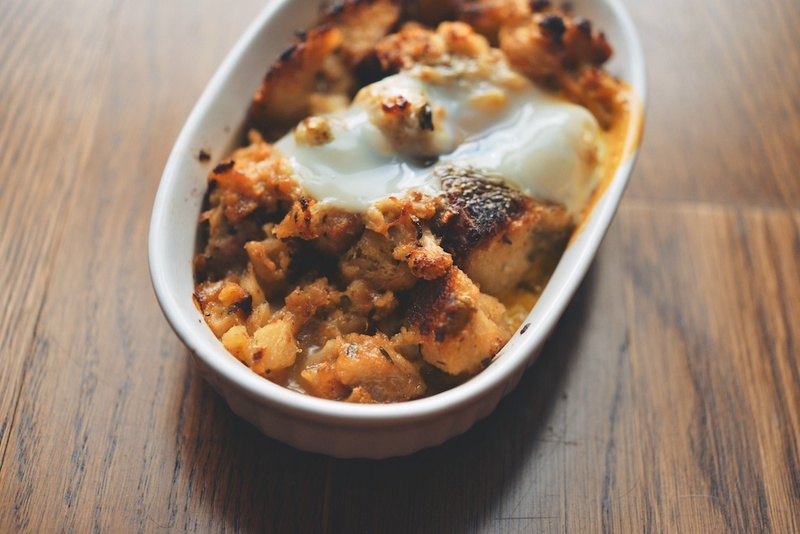 Skillet Stuffings + Eggs: This might be my favorite use of Thanksgiving leftovers there ever was. 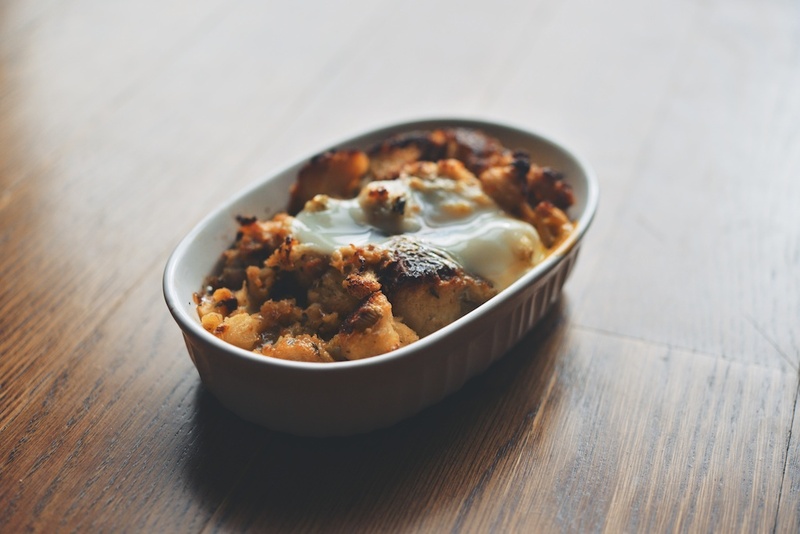 Mix together stuffing with roasted vegetables in a cast iron pan or casserole dish. Crack a few eggs on top, and bake at 425F, just until the whites are set. Finish with plenty of hot sauce and bright fresh herbs, like chives, parsley, or cilantro. 1. 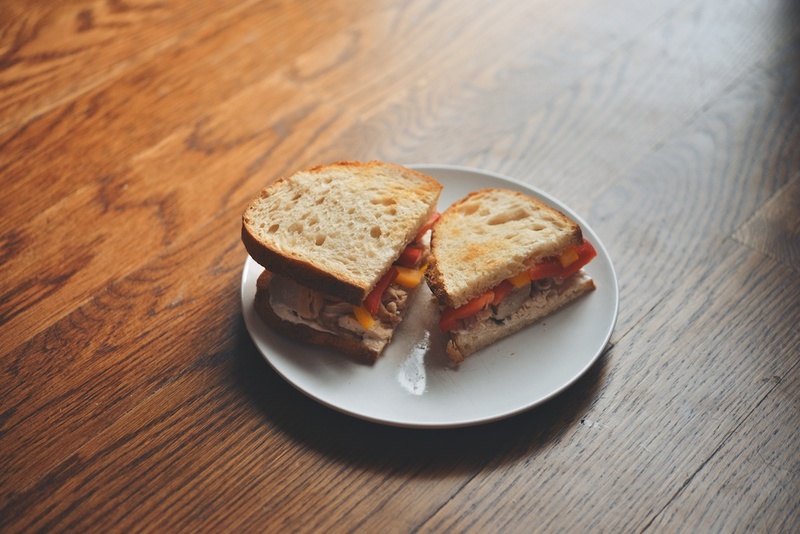 California sandwich: a bit more interesting than your average turkey sandwich, I like to use Saveur’s recipe as a jumping off point. I also add white meat turkey, and whatever crudité vegetables are leftover. 2. Roasted Mushroom Grilled Cheese with Cheddar + Chèvre: Add dark meat turkey, and really whatever roasted vegetables that strike your fancy. A smear of gravy or a stroke of cranberry sauce would not go unappreciated here. 3. 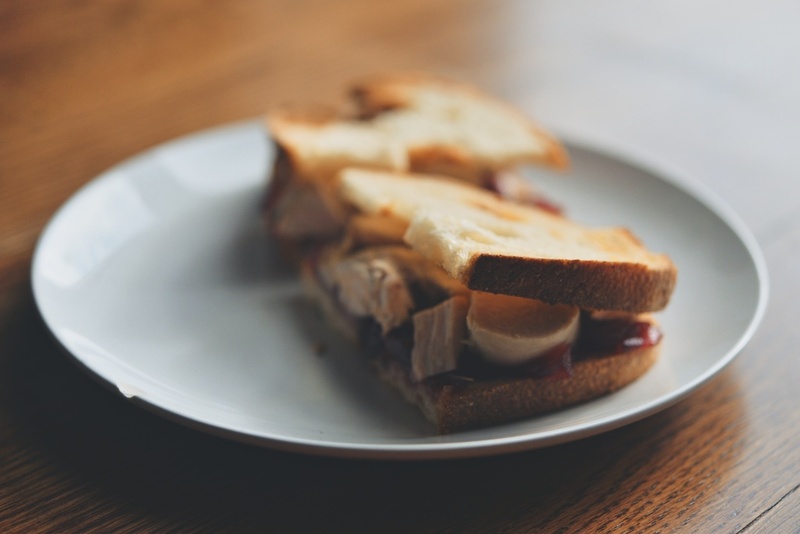 Barbecue Turkey Sandwich: It doesn’t get much simpler than this sandwich, especially if you have leftover turkey and biscuits on hand. Add a fried egg and a dash of hot sauce and you are in serious breakfast business. 4. 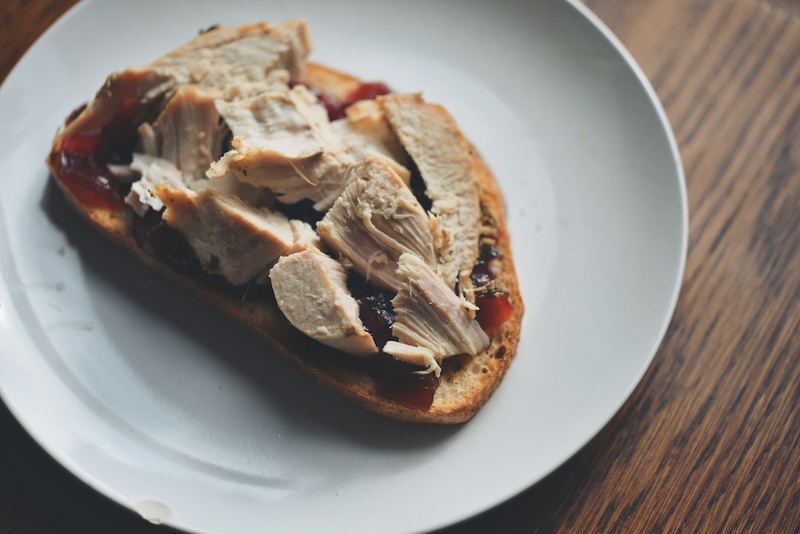 Turkey Panino with Cranberry Sauce: A Thanksgiving grilled cheese. The acidic tang of cranberry sauce cuts and complements the richness of sage and cheese. 5. Turkey Torta: The Mexican flavor profile makes this sandwich far brighter than your average turkey club. 1. Turkey and mushroom risotto: This sophisticated dish hardly resembles a leftover at all. Use up extra turkey and turkey stock, and impress simultaneously. 2. October Shepherd’s Pie: This recipe was invented in the first place to use up leftovers. Like the calzones below, toss in whatever savory vegetables + turkey + mash you have remaining. 3. Tacos: Stir shredded turkey, Latin spices, and hot sauce together. Mix a slaw of jicama, apples, celery root, what have you. Add cotija cheese or cheddar. Tacos. 4. Turkey Croquettes: This recipe involves leftover turkey, stuffing, mashed potatoes, and gravy or cranberry sauce. Another catch all for whatever you happen to have around in the days after Thanksgiving. 5. Mini calzones: Make with turkey, diced apples, goat cheese, and caramelized onions. You could also add mashed potatoes or stuffing–customize! Calzones are adaptable, and allow you to use up all the savory tiddly-bits you have laying about. You can also try these, which feature pumpkin, sage, nutmeg, and goat cheese. 6. Turkey and orzo soup: For leftover turkey and turkey stock. I like the idea of a flavorful, broth-based soup after a big meal–satisfying, but not heavy. This version from Bon Appétit is a good start. 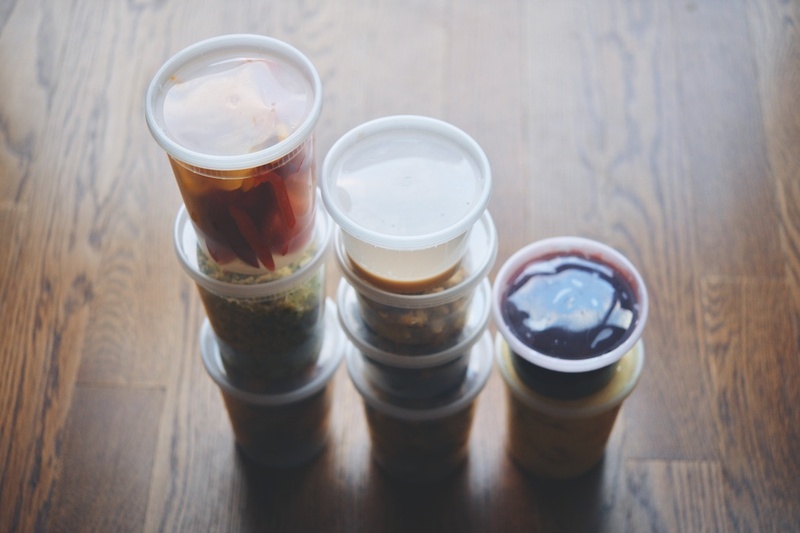 And speaking of soup, here is another leftover soup from Saveur–save that turkey carcass. 1. 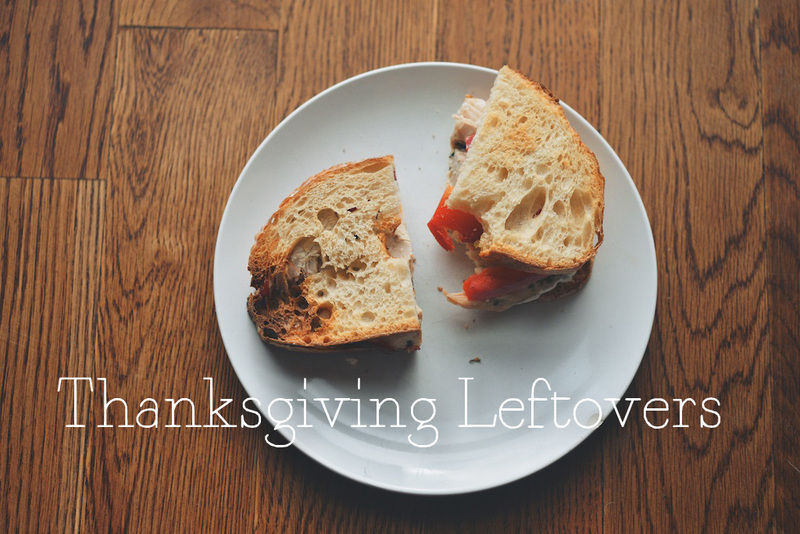 New York Times: Mark Bittman offers nearly two dozen original ideas in his Radical Rethinking of Thanksgiving Leftovers and here is 16 Recipes for Thanksgiving Leftovers. 2. Serious Eats: Here, another sixteen ideas for your viewing (and eating, obviously) pleasure. 3. Food52: Five ideas for leftover turkey. very nice, to day i saw your stuff, really it looks and give a feeling to eat the breakfast, skillet stuffing+eggs is so nice, now I tried my self for my break fast. thank you for giving good stuff to me.